This deconstructed cauliflower recipe is all about colour and texture, making it a brilliant talking point for any supper. Romanesco broccoli is actually a form of cauliflower with a fractured texture. 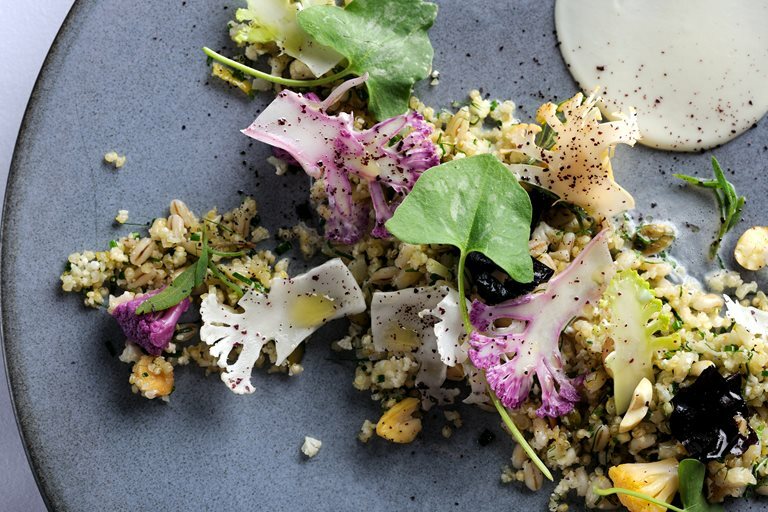 Both romanesco and cauliflower shine brilliantly in Agnar Sverrison's intriguing starter.